What is the application fee and what is it for? The fees include fully referencing, credit checking and right to rent checks along with the administration costs, lodging and dealing with tenants deposit and all other related paperwork associated with the tenancy. All tenants must go through this application process to ensure that they are suitable tenants and once this has been paid the property is reserved for you pending the successful outcome of the reference process, the landlords agreement and contracts agreed. As part of the application process all applicants have their credit history checked, they seek employers references and also a reference from previous landlords. It is imperative that all prospective tenants are completly honest on their application forms to ensure the property is secured for them. Any attempt to mis-lead will result in the application being rejected. Are there any other charges or fees to pay? At the end of the tenancy there is a check out fee chargeable to the tenant of £42.00 inclusive of vat. If additional visits are required a charge of £24 inclusive of vat will made for each visit. Due to bank charges there is a fee for handling cash payments calculated at a rate of 1% of the total amount paid. A charge of £120 inclusive of vat if notice is given by the tenant and then withdrawn. What ID documents do I need? All prospective applicants will be asked to produce two forms of identification. One form of photographic ID such as a passport or a new style driving license and one proof of address such as a recent utility bill. If you are a non UK resident you must provide a copy of your passport. We are now required to carry out online electronic anti money laundering checks. What deposit do I have to pay? 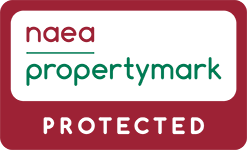 A deposit is taken of the equivalent to 6 weeks rent All deposits are placed with the ‘Deposit Protection Scheme’ (DPS) for the duration of the tenancy. What type of Tenancy will I have to sign? Under normal circumstances you will sign an Assured shorthold Tenancy (AST) In certain circumstances it may be relevant for a different type of tenancy to be signed. Can I keep pets at my rental property? What Happens if I have a maintenance problem in my rented property? 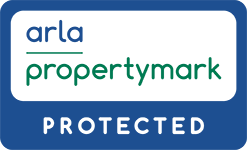 If a tenant has an issue with the property and the tenancy is managed by Bloore King & Kavanagh then we are there to help you get the problem resolved as quickly as possible. We have a range of plumbers, electricians, handymen and builders who we can call on for both standard maintenace work or emergency problems. A tenant can call us on 0121 550 4151 during normal working hours. If the problem occurs out of our working hours and is of an urgent nature and cannot wait until our offices are open then we have an emergency call out arrangement as detailed below. Outside of these times we would ask that tenants take all necessary precautions to limit any damage and in an EMERGENCY ONLY call out MEW Property Services to prevent further damage. Please do not call directly and arrange any works during office hours or if it is not an emergency as we may not be authorised to pay the bill and you may be charged. NB// If the issue is found to be a user/tenant fault or an out of hours call out is made and was not an emergency the bill will be the tenants responsibility.